Following the reveal at San Diego Comic-Con that Season 2 of Telltale Games’ Batman would be arriving in August, the official launch trailer for Batman: The Enemy Within is here! Check out the Batman: The Enemy Within launch trailer in the player below! 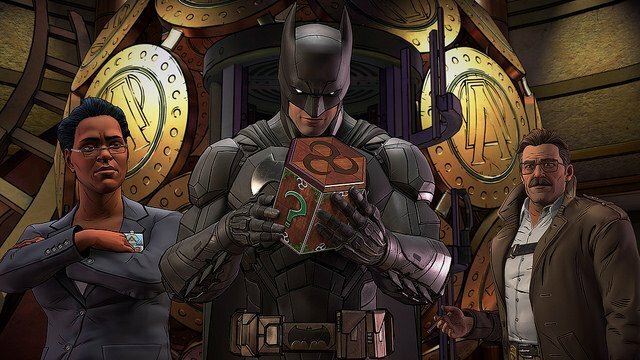 In this latest chapter from the award-winning studio behind Batman – The Telltale Series, both halves of the Dark Knight’s dual identity will be forced into precarious new roles. The Riddler has returned to terrorize Gotham City, but his gruesome puzzles merely foreshadow an even greater crisis. With the arrival of a ruthless federal agent and the return of a still nascent Joker, Batman must navigate uneasy alliances while Bruce Wayne undertakes a perilous series of deceptions. Batman: The Enemy Within will debut its first chapter on August 8.